MIRDC’s continuous thermal treatment system for micro fasteners. With 3C products becoming thinner and lighter to trigger sizeable demand for miniature parts and components, micro fasteners therefore show increasingly promising business potential. To help Taiwanese fastener manufacturers tap such opportunities, Metal Industries Research & Development Centre (MIRDC), a Taiwanese-government-funded R&D institute, has worked out the world's first continuous thermal treatment equipment specifically for micro fasteners with sub-2mm outer diameter. The continuous heat treating equipment is composed of a heating furnace, continuous annealing furnace and oil quench tank, also featuring an oil quench tank coupled with a workpiece collecting module, to facilitate collecting quenched fasteners scattering in the tank to set this system apart from conventional models. 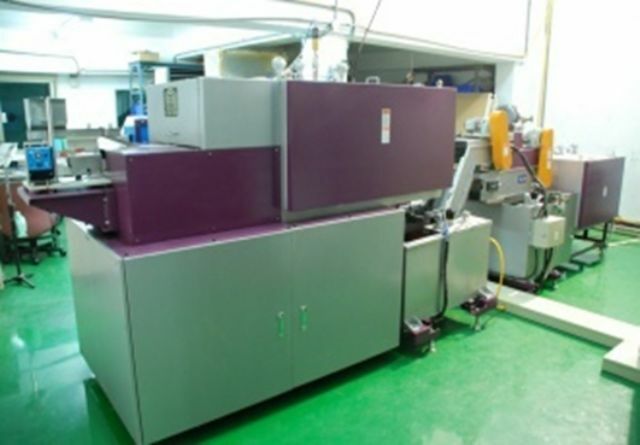 Moreover, the machine is developed with modular designs to meet manufacturers' different requirements. MIRDC reports that the machine and workpiece collecting module will soon be patented. MIRDC notes that Taiwanese manufacturers generally turn out micro screws that typically underperform in torque, cracking and hydrogen embrittlement, and are lower in quality and performance mainly due to lacking suitable heat treating equipment and knowledge of needed processing parameters.